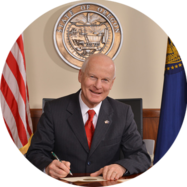 SALEM, OR — Today, Secretary of State Dennis Richardson released a public service announcement (PSA) video featuring Portland Mayor Ted Wheeler urging Oregonians to vote this November. 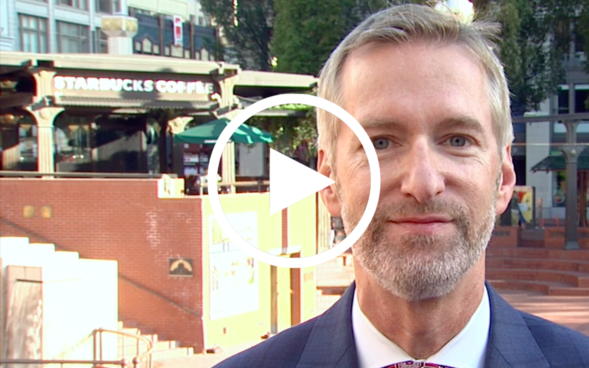 “As a former County Commissioner, State Treasurer, and the current Mayor of Portland, my focus has always been on tackling the issues facing our community and working to enact positive change,” said Wheeler in the video. “But, that’s not something elected officials can do alone. The video PSA is part of an ongoing effort by Secretary Richardson to expand voter access and drive citizen engagement. “In an era of heightened political partisanship nationally, it’s great to share common ground here in Oregon as we work together to encourage voter participation,” agreed Richardson and Wheeler. Another PSA released last week featured international heroes and celebrities Anthony Sadler and Spencer Stone, best known for stopping a terrorist attack on the 15:17 train to Paris in 2015. Olympic medalist and Dancing with the Stars winner Adam Rippon was also featured earlier this year. Additional video PSA’s are planned for release in the coming weeks. Other efforts by Secretary Richardson to drive voter engagement this November included a first of its kind pilot program utilizing Facebook to reach inactive voters, expanding online voter registration to additional languages, and optimizing the Elections Division’s mobile My Vote site for phones, tablets, and other devices. The deadline to register to vote for this election is October 16. Eligible voters are encouraged to register or update their registration through the Secretary of State website today.